Hello to our GGB readers, hope you had a Merry Christmas and a Happy New Years! 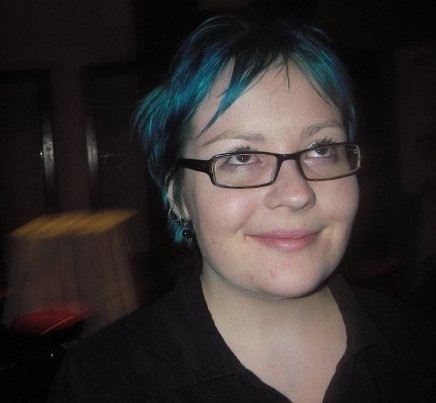 Our first Geek Girl Blogger for 2009 is Nicole Jensen from Australia. Hope you enjoy reading her survey/profile! Toodles. Screen Name’s: a_lil_spaz (or varieties of), willow22, nikkij, even drummachik for a bit. Hey, I had a great imagination at 14! Personal Blog’s & Social Network’s: www.claimid.com/nikkij is my lifesaver. I’d never keep track of anything online otherwise. (claimid has links to all Nikki’s blogs & social networks etc). Current Employment: Seeking full-time work in the events industry, considering freelance events management. Casual blogger and editor for www.TechWiredAu.com. Fun, discussion, record-keeping (in the old days of pure journal writing). Learning too is a good motivation. I’m no code guru at all, so I like to mess around with web design on occasion, teach myself a few more HTML and CSS tid-bits. I’m by instinct a journal-writer, so my main problem at the moment is coming up with content other than that. I like to discuss topics like event management, marketing, sociology and psychology, mental health, technology, and current affairs. Some celebrity stuff too if it’s absurd. I often find myself peeking at PerezHilton.com on a rainy day! I prefer short and regular, but it really depends on the topic and when I last posted. I’ve been told my blogs are pretty interesting and I think this is because I blog straight from my thoughts, no matter how disconnected they are from the previous paragraph. I like to use a lot of imagery in my writing too. As for audio and video; love it! Unfortunately due to costs of buying equipment and what-not, I’ve not done video blogging for a while, and did so under an alias earlier this year. It was fun and gave me a break from typing. I guess talking is more of a natural communication form and I’m able to just spit out what I’m trying to say more freely in audio or video. I’ve never podcasted but would love to get into that in the future. I was a big reader and writer as a kid. I’ve been keeping diaries from a young age and after discovering the Internet around 14-15 I decided it was a good time to change from pen and paper. If anything, it was something to get my thoughts out during a difficult time in high school. I moved from a country town public high school to a larger city private girls’ boarding school and I’ll say that neither was easier than the other. I had a private online journal which I updated under an alias and this was helpful later on in analysing my thoughts during these years. The diary went from 2002 to 2007 when I gave it up in my second year of uni and wanted to focus more on connecting with people via LiveJournal. Social networks rock. I’m seriously addicted. Twitter is my natural habitat and I’ve made some seriously cool friends this year through BTUB, the Brisbane Twitter Underground Brigade. Facebook is of course keeping in contact with people I’ve known over the years, but Twitter is full of interesting people I cannot wait to meet [again!]. It really makes me sad that so many people do not utilize social networks who could benefit so much from social media, though in the same I get angry about so-called “social media experts” and businesses mistreating the medium. It’s a telephone, not a megaphone! I love your Girl Geek Blogger posts, and am so happy to have found someone I know on it (not in real life, but twitter, which is as real for me! ).